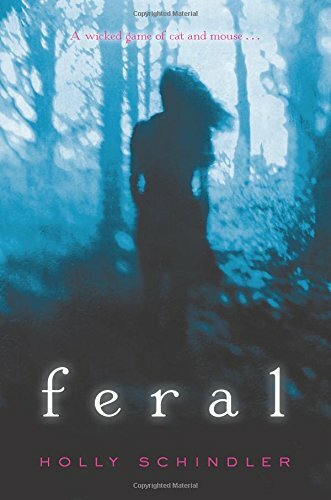 Read and Enjoy my interview with Holly Schindler, author of Feral which just came to shelves August 26. Oh, and don’t forget to take part in the raffle (below) for a free book giveaway! 1. What came first, the PTSD, the feral cats, the murder, or the discovery of Peculiar? It’s probably hard to imagine, but the book started out as an MG mystery. When it began to get gritty during revision, I knew it probably needed to become a YA. But I couldn’t keep my protagonist. She was truly thirteen. She didn’t fit in the high school setting at all. I needed a new main character. As I brainstormed, I began to put together pieces of Claire’s character. When I uncovered her backstory—that she had been beaten in Chicago—I also knew that the book could no longer be a straight mystery (or even a YA horror novel, as I’d once considered). It needed to become a psychological thriller. 2. The death scene in Peculiar and the street attack in Chicago were so gripping, I couldn’t imagine how you were able to describe both heinous acts in such detail. What type of research did it take to enable such authentic realism in your narrative of those scenes? Research for this book included looking into psychotic PTSD symptoms. I also did some digging to pick the town where Claire’s beating would take place. I chose Chicago because it’s considered the alley capital of the country—it has more alleys than any other city in America, which gives credence to her decision to take an alley home the night of her attack. The rest of it is the work of my imagination. I will say that I think nailing the POV was maybe the most important aspect of revision—and was more important than research when it came to giving the book authenticity. My editor and I had several discussions and went through several rounds of rewrites trying to nail the POV. In the end, I think third person was essential to giving the book a “creep-factor.” And really, the limited narration (we’re seeing primarily from Claire’s eyes, with Serena stepping in at a few points) is essential. If we were to hear from too many other outside voices, see through too many eyes other than Claire’s, the book would fall apart. My editor really loved Serena’s chapters, and I have to admit, I’m fond of them, too. In the beginning, though, I was concerned that Serena’s perspective might outweigh or overpower Claire’s (especially at the novel’s opening). That’s a big part of the reason why I gave so much detail to Claire’s beating in Chicago—I wanted her story to carry every bit as much weight. In the end, what I most love about Serena’s character in the final version of FERAL is that she highlights or illuminates Claire’s story. In the first chapter, Serena is trapped inside a broken body, unable to move yet still able to feel everything. This is reflective of where Claire is, too—though she swears she’s moved on from the beating, she hasn’t. She’s stuck—and afraid. Just like Serena. Serena’s spirit also helps to portray the struggle to untangle what’s real from what isn’t real. There are physical events in the book that are undeniably real: Serena goes missing and is found dead. Her spirit is forced to let go of the earthly world, make its journey to the afterlife. The town police do overlook clues regarding her death. A former Peculiar High student has died in the basement. A car malfunctions. A feral cat follows Claire. But there are also what I would call malicious paranormal events: angry ghosts, spirits in cats, soul-filled fog. Claire believes these events are real throughout most of the book, but during a scene at the school dance toward the end, these malicious events are revealed to be something else—namely, a horrifying truth about herself. Serena’s POV at the end of book offers a sense of closure, but also emphasizes what has been real and what hasn’t: while Serena is a spirit, she denounces one last time any possibility of her having haunted Claire, claiming the story Claire tells her at the cemetery about seeing her inside a cat is “strange”—outside of her own experiences. Each book is a learning process, and after FERAL, I know that when I’m drafting future projects, I’ll give considerations regarding POV far greater weight than ever. 3. I really connected with the spirit of Mr. Hitchcock in your new psychological thriller. 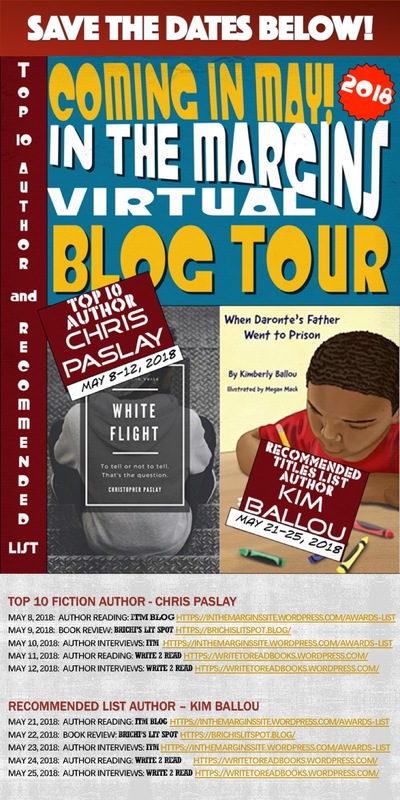 In my Goodreads review, I mention how your opening scene along with a town infested with feral cats brought a chill to me the same manner as THE BIRDS did back in the sixties…eerily delicious! How much of Hitchcock did you consciously channel? Essentially, every aspect of FERAL is used to explore Claire’s inner workings—that even includes the wintry Ozarks setting. The water metaphor is employed frequently in psychological thrillers to represent the subconscious, and here is incorporated in the form of a brutal ice storm (that represents Claire’s “frozen” inner state). The attempt to untangle what is real from what is unreal (I mentioned it before—and it’s another frequently-used aspect of the psychological thriller) also begins to highlight the extent to which Claire was hurt in that Chicago alley. Even the explanation of the odd occurrences in the town of Peculiar offers an exploration into and portrait of Claire’s psyche. Ultimately, FERAL is a book about recovering from violence. We often hear that recovering is a hard or lengthy process. But I think addressing a violent act head-on is also a terrifying process. I wanted to depict the frightening aspect of recovery in a dramatic, scenic way—the classic psychological thriller allowed me to explore that frightening process in detail. The Lovely Bones meets Black Swan in this haunting psychological thriller with twists and turns that will make you question everything you think you know. It’s too late for you. You’re dead. Those words continue to haunt Claire Cain months after she barely survived a brutal beating in Chicago. So when her father is offered a job in another state, Claire is hopeful that getting out will offer her a way to start anew. But when she arrives in Peculiar, Missouri, Claire feels an overwhelming sense of danger, and her fears are confirmed when she discovers the body of a popular high school student in the icy woods behind the school, surrounded by the town’s feral cats. While everyone is quick to say it was an accident, Claire knows there’s more to it, and vows to learn the truth about what happened. But the closer she gets to uncovering the mystery, the closer she also gets to realizing a frightening reality about herself and the damage she truly sustained in that Chicago alley…. Holly Schindler’s gripping story is filled with heart-stopping twists and turns that will keep readers guessing until the very last page. 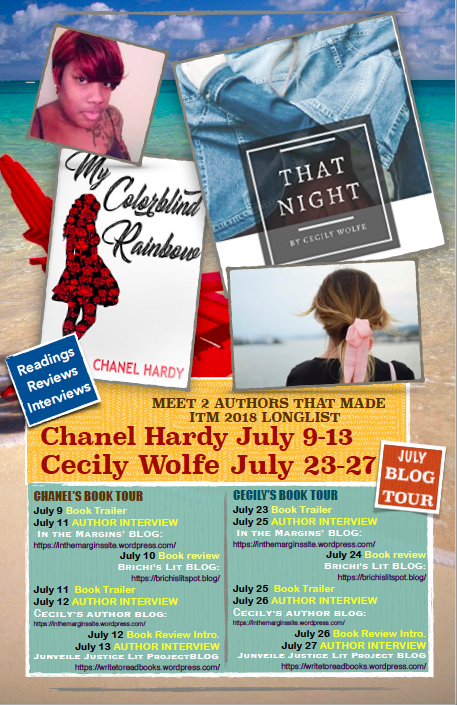 Holly Schindler is the author of the critically acclaimed A BLUE SO DARK (Booklist starred review, ForeWord Reviews Book of the Year silver medal recipient, IPPY Awards gold medal recipient) as well as PLAYING HURT (both YAs). Holly Schindler is an author, musician and coffee lover who writes for middle grades and young adult audiences. Her two YA novels are A BLUE SO DARK (2010) and PLAYING HURT (2011). Her middle grade title, THE JUNCTION OF SUNSHINE AND LUCKY, was released with Dial / Penguin, and her new up and coming YA book, FERAL, will release with HarperCollins August 26, 2014. ← Feral Book Tour Will be Here Friday September 5! Can’t wait to read, have heard good things about it!